Note: Refunds only allowed if requested within 24 hours of purchase. BUY YOURS TODAY BEFORE PRICES GO UP! Upgrade to VIP status for any evening. Includes VIP seating and entrance. Discounted access to official Congress pre-events. August 30 through Sunday, September 1, 2019. Day Pass provides a full day of access to all instructional workshops, performance showcases, live bands and social dancing. Evenings Pass provides access after 7pm for evening performances, live bands and social dancing. Learn with The King and Perform with The King in this six (6) hour bootcamp. 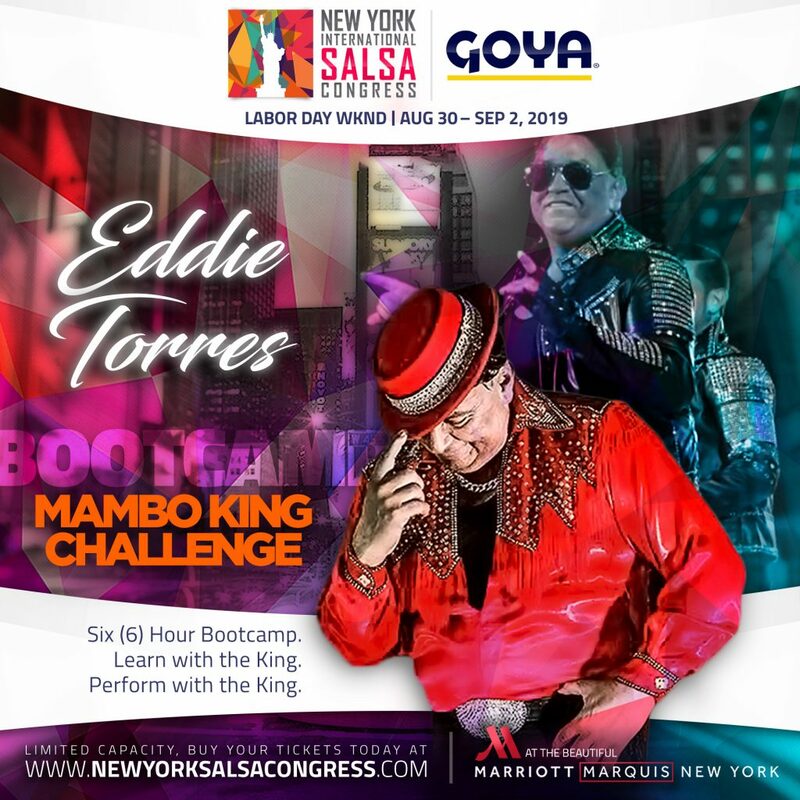 A once in a lifetime opportunity to train for the entire weekend and then perform on stage Sunday night with the one and only “Mambo King” Eddie Torres! Ladies styling and co-ed choreography in this six (6) hour bootcamp by the sensational Michelle Morales! Take the challenge and then perform on Sunday night of NYISC 2019.